Budget is a comprehensive and effective solution that gives you the power to carefully manage your money. With it, you will be able to monitor and control your funds on your way to achieving your personal financial goals. 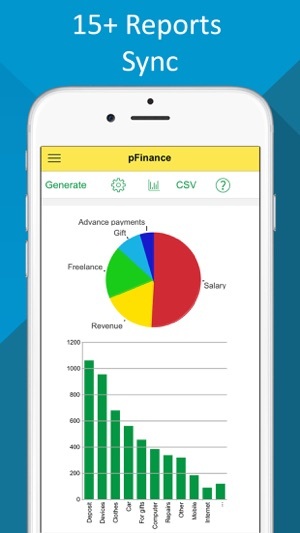 Choose from over 15 types of reports and charts to better comprehend where money is coming in from and how it is being spent. 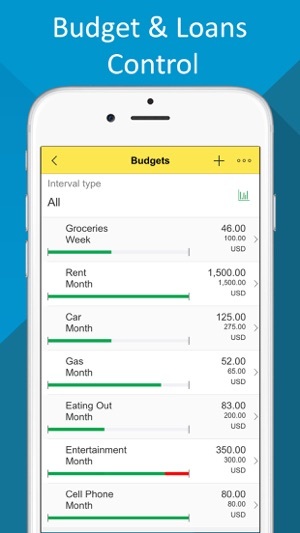 Create budgets to control your expenses in pursuit of your financial goals. Budget will help you stay on track by sending you notifications if you have exceeded the limits you have set for yourself. Are you also looking to manage shared finances with your loved one or others? If so, you can quickly and safely synchronize all of your data across all of your devices through your personal Dropbox account. Any changes made by any user at any time will appear immediately on all of your devices. 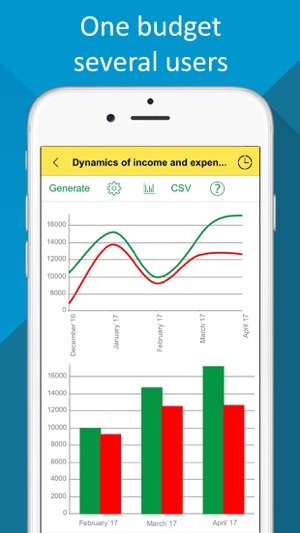 Budget’s smart financial planning tools allow you to create more accurate predictions of what funds will be available in the future. 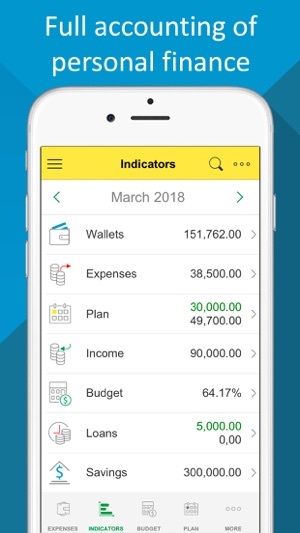 Enter and track your expected income and expenses to better understand if any changes need to be made in your planning so that you will be able to reach your goals. Manage your loans more efficiently with reminders and SMS messages that can be sent directly from the application, so that you pay back lenders or receive funds from borrowers on time. 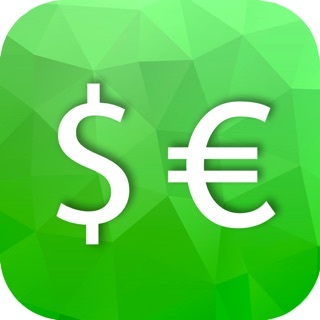 Multi-currency accounting support, along with exchange rates and conversions, allow you to perform any type of transaction in any currency. Only you have access to your data since synchronization occurs through your personal Dropbox account. As a result, neither the application developer nor anyone else will be able to view it. 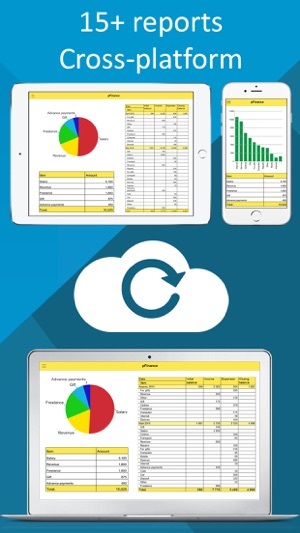 You will never have to worry about losing your data, as daily backups are performed automatically across all of your devices. New: Now it’s easier to enter the Budget document, clearer and faster! Improved: The welcome form for the first installation is now shown in a beautiful shape. Improved: Document lists now contain quick action buttons. 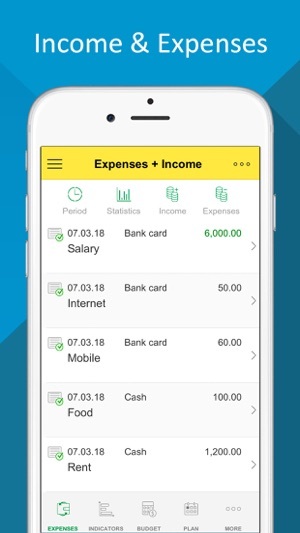 Fixed: Automatical fill-in of groups when creating categories of income/expenses, wallets, counterparties, savings. 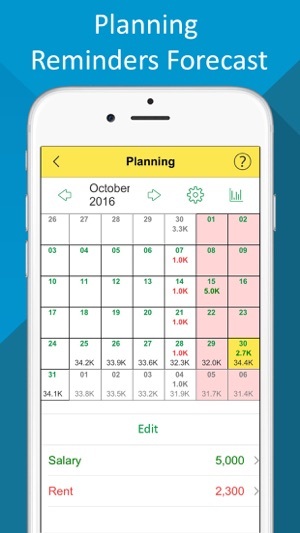 I tried a lot of budget and planning apps and thought there was nothing there that had everything i needed. I had to settle with a couple of apps and was already using it for two months. But it was really frustrating me and it was not making my budgeting easy. So i looked and found this! It had everything i needed. The only thing I didnt like was the fact that I didnt know that I had to pay extra for some of the functions I needed. But they are not expensive, so it was fine for me. After purchasing the ones i needed, i only spent a little less than five dollars. And i love the app! 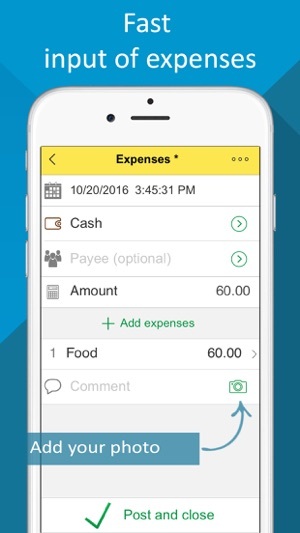 It’s helping me budget, plan, and save money in the end! Simple to use. Caters for everything you'll need to do. Good report templates too. Took a while for me to get the hang of it but after I did, it's been a breeze. Only shortcoming, if it could be considered that is that there is no Mac version although there is a PC version. 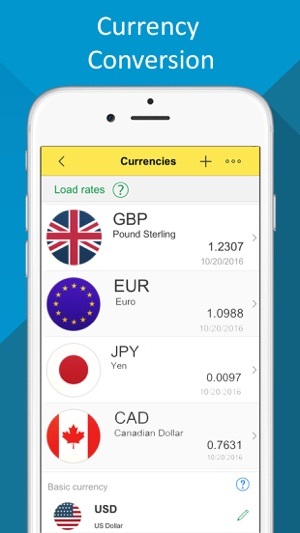 The app has recently moved to a subscription model for synchronization across this devices. Before now, I could synchronize across my devices - iPhone and iPad but since I now had to pay I decided to stick with using it only on my iPhone, which I’d most likely have around and about me anyways. Yesterday, after updating the app the day before, I recorded my transactions by clicking on the daily reminder that pops up if you haven’t entered any record that day. Surprise of all surprise, today I open the app to find ALL my records gone - no wallets, no expenses, no income, absolutely nothing! Worse of all, I have no back up of years of records due to their recent subscription model to back up online. Now, I have to find another budgetting app. Thank you for informing us on the problem! Please contact us via email budget@rarus.ru - we'll do our best to solve the issue. This App will do everything you need it to, as long as you buy each section for $1.99. I would rather that they just sold it as a whole for $9 than made it look like a $0.99 App. Otherwise, it’s fantastic.